Are you a fan of your one-liners, a poet and you know it or just a dab hand at drawing? We need you! MCN are on the lookout for some awesome new designs to feature on t-shirts, hoodies and mugs on our T-Shirt shop. 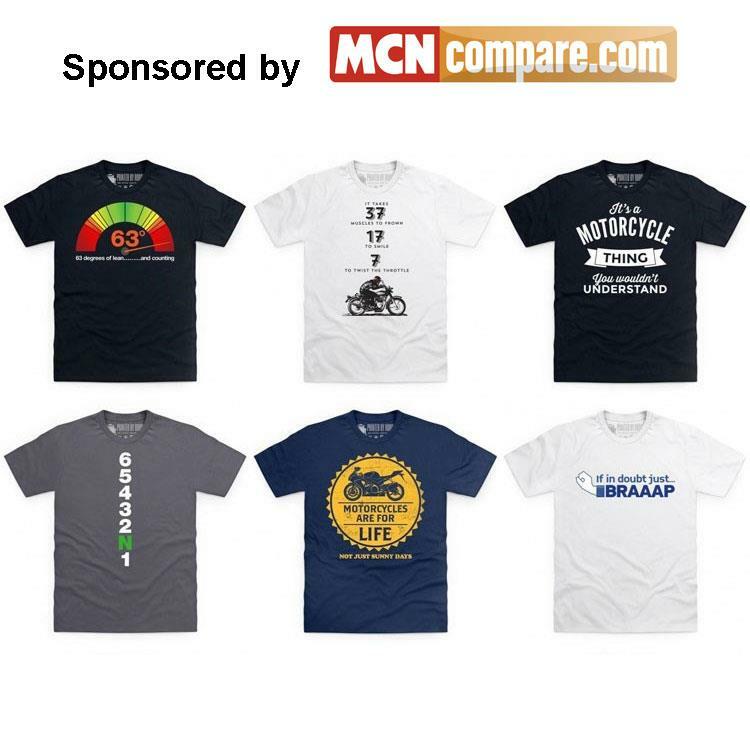 Upload your design below or submit your caption ideas to enter our competition, sponsored by MCN Compare and be in with a chance of winning £100 voucher and the honour of your idea being printed and sold to your fellow MCN readers. The MCN team will be comparing all of your designs and the winner will be notified on 10th June 2016. If you need some inspiration then visit the shop here. 5. Bauer accepts no responsibility for delayed or mis-transmitted entries. 7. By entering the competition entrants are deemed to have accepted both these specific terms and conditions and Bauer's General Terms and Conditions which can be found at http://www.bauerlegal.co.uk/competition-terms.html and should retain a copy of these terms and conditions for future defence.